2015 was a big year for headlines and stories about water and, given the nearly 16-year drought, we can expect no less in 2016. That's a good thing because it keeps the momentum going for necessary change. But words alone will not ensure a sustainable water supply for Arizona's future. Here are five actions that leaders need to take in 2016 to help keep the state prosperous. 1. 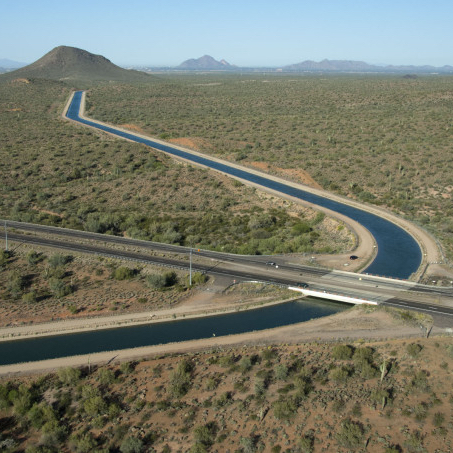 The Arizona Legislature should adequately fund the Arizona Department of Water Resources. By law, the department’s employees are responsible for managing all the state’s groundwater and surface (river) water resources. The legislature has also directed ADWR to protect Arizona's rights to Colorado River water, which is shared by seven states. These important responsibilities require the department to attract and keep the best minds in the industry. That takes money. 2. ADWR must implement Governor Ducey's Arizona Water Initiative. ADWR needs to hire (see above) planning and hydrology staff to identify and prioritize the areas of the state most affected by water supply challenges and work with local residents and businesses and community leaders to create solutions to meet their future water needs. 3. The Legislature and water attorneys need to agree on meaningful steps to resolve 40-year-old court proceedings to determine who has rights to in-state surface (river) water. This means we must come to grips with the fact that some well owners are pumping sub-flow (water from streams and rivers), not groundwater. This harms riparian areas and others who depend on river water. To accomplish this, we may need to augment some water supplies or offer incentives to reduce pumping from wells. 4. Arizona must find ways to finance critical water and wastewater infrastructure in rural areas. The legislature could jump start this effort by making state funds available to the Water Supply Development Revolving Fund, which is overseen by WIFA, an agency that helps private water companies and public water departments get reduced-interest loans to build drinking water and wastewater projects. 5. Arizonans should not lose sight of the importance of groundwater management. In many rural areas of the state, homeowners’ wells are running dry and farmers are drilling deeper and deeper for dwindling groundwater supplies. State law needs to be amended to give these rural areas the flexibility to fix the problems specific to their communities. In the more populated areas of the state, we need to shore up efforts to replace the groundwater we use and ensure that our groundwater supplies are protected for the long-term. These are challenging actions that will take leadership, resolve and compromise. But success on these fronts could lead to headlines that would make us proud.